Figuring out your wedding budget is probably the hardest decision of all. You want the event to be perfect, but you quickly discover that things you assumed wouldn’t cost much can actually raise the bill tremendously. If you’re already feeling stressed out about it, remember that you’re in good company and there are easy solutions for dealing with it! Mostly it comes down to understanding which are the most important variables for you, then working backwards from there. To get the best advice about how to wrap your head around wedding budgets, I turned to weddings expert Tony Conway of Legendary Events, one of the biggest and best wedding design and production companies in the U.S. Tony has designed and produced over-the-top weddings for celebrities, as well as weddings with mid-level budgets. 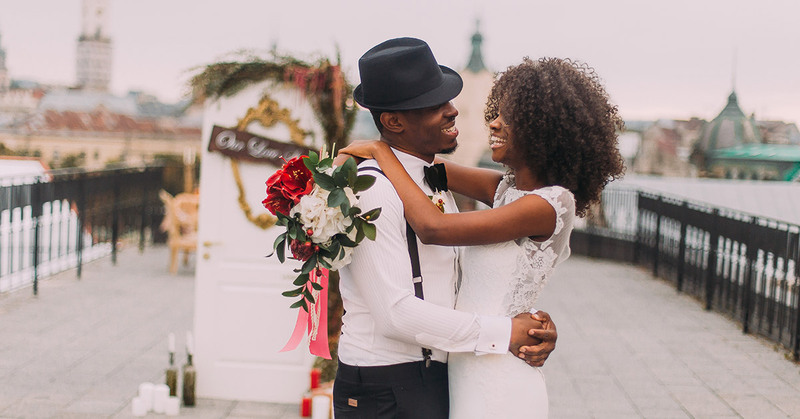 It’s easy to get carried away by your dreams of the perfect wedding, but you don’t want to start your new life together with huge debts that you really can’t afford. A good method for tackling the big picture is to sit down with your partner and set a realistic minimum and maximum amount you will spend—before you start thinking about specifics. Then, if you have family members who are willing to help out, you can take those numbers to them and talk it through. A great way to start looking around is on Pinterest and Instagram. 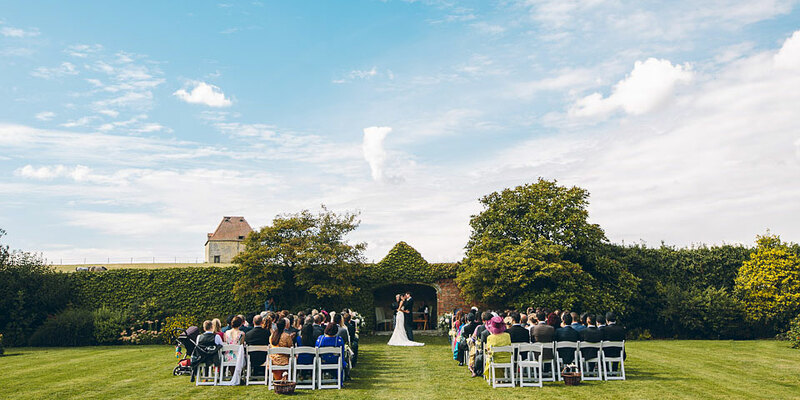 You can search for the keyword “weddings,” or add other keywords if you know what sort of wedding you want (for instance, “garden weddings” or “spring weddings”). Once you find weddings that give you that happy feeling inside, take a closer look at the photos. What is it exactly about the photos that make you feel that way? If you find that it’s the type of tabletop decorations, the string quartet, or the cake, put those variables at the top of your priorities list. That way when you start doing actual budgeting, you can make sure those things don’t get let for last. After you write down your wish list, share it with your partner. Does he or she agree? “If not, don’t let it become a point of tension; you want the entire planning phase to be fun!” Conway says. Just ask your partner to go through the photo research process and make a separate list, then compare your lists to find the common ground. Of course you have to consider both sides of your families and friends. But, it’s easy to start adding on all kinds of people to your list—including ones you don’t even know (like your parents’ colleagues) or people you’re not really close to (like some of your own co-workers). Generally certain kinds of venues are priced within a pretty narrow range, but the price to rent, say, a ballroom can be vastly different from the price of renting a small garden. Using your photo ideas for your ideal wedding, first analyze what kind of venue will make you happy. Then research venues of that type in your area. Some days and times are going to be more expensive when it comes to renting a venue. Often Saturday evenings cost more. If you can be flexible, you can sometimes save thousands of dollars just by choosing a Thursday instead. “Of course, getting married on the weekend makes it very easy for out-of-town guests,” Conway says. So it may be that you’d rather spend the extra to make it that much simpler for everyone. This doesn’t mean asking friends to help you pay for your wedding; it means those who may have professional-level skills and could help you cut costs. For instance, if you have a friend who’s a great photographer, DJ, or musician, you could find out what they would charge to do your photography or music. Prices for professional photographers vary depending on what services they provide for a wedding. For a pro DJ, expect to pay around $1,200 to $5,000 and up. Live string music during the ceremony may be $500 to $2,500 depending on the number of musicians and the amount of time they perform. If you do consider asking friends, really think it through first. A wedding is a very emotional event, and sometimes your friend can’t be held accountable in the way that wedding professionals can. >>Also read Tony’s advice about wedding receptions and wedding registries! Some venues will insist that you hire their own planner, at least just to manage the wedding day events. A coordinator for the wedding day can cost anywhere from $400 to $900 on average. But, that’s different from hiring someone to manage the entire wedding down to every detail, starting from Day 1. “My company, Legendary Events, is referred to as a ‘special event company’ because we offer services related to catering, staffing, valets, entertainment, design, floral, and baking. For couples getting married in Atlanta, we also own two venues,” Conway says. Finding this wide variety of services within one company is unusual. Most wedding planners only focus on researching and coordinating those variables from different vendors. It’s also why the price for wedding planners can easily cost $5,000 to $25,000. If you’re planning a high-end wedding, planners may charge a percentage of the total wedding budget—maybe even 15 percent. Invitations are one variable where price can vary widely based on the choices you make. If you have them professionally printed on the highest quality paper, with ribbons and other detailing added on, you can spend upwards of $800 or more. Smaller, local printers may charge closer to $400. There’s also always the option of printing them yourself if you have a high-quality laser printer. Before you get your heart set on a wedding dress that costs $10,000, take a look at all the ones that cost under $1,000. You may find one that you fall in love with, and you can put the extra money towards your other priorities, or save it for your honeymoon and life together. Bouquets, rental chairs, candles, favors for guests—these things can add significant costs to a wedding budget and must be considered after all of the other big things are in place. Often the venue you rent will affect some of these items; for instance, chairs may be included. The best way to start planning this area of your budget is to go back to your collection of wedding photos from Pinterest or Instagram, and identify the exact ideas you’d like to replicate. Then, you can start pricing out each item within the context of how much budget you have left. To read more about Tony Conway and his company visit the Legendary Events website. What’s the most important item in your wedding budget? Leave a comment below!